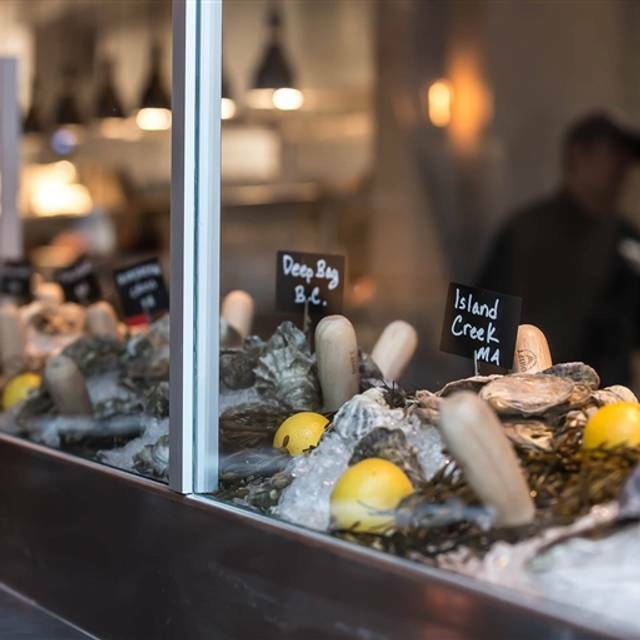 Drift Fish House & Oyster Bar offers a seasonal menu of chef driven sustainable seafood centered around a live wood fired grill and oyster bar. We don’t just talk about sustainability, we are leading the effort as the first restaurant in Georgia to be an official partner of the Monterey Bay Aquarium’s Seafood Watch program. We are committed to procuring the highest quality sustainable seafood available ensuring a viable future of our oceans for generations to come. Bright lemon, minerality, high acid, perfect for oysters! From the world's premier Rose appellation, its ok to drink pink! One of Willamette's best vintages ever, get it while you can! California's homage to southern rhone, a must try! A fresh, balanced champagne with a long finish; in our opinion, the best way to start any meal! Wonderful Eastrr brunch with or daughter. Best seafood! We made a reservation for Easter brunch and we arrived on time and sat immediately. Our server took a minute to show and that was pretty much his problem the entire meal. While he was nice he did not tell us about the specials and we overheard the well excucted delivery from the other servers around us. Our server offered to make me a decaf cappuccino (which was yummy) and my husband asked for sweet tea but the server said he could get him a tea with simple syrup...not sure if they didn’t have sweet tea, but he didn’t emphasize on why he offered that even after we asked. He mumbled a lot so I am not sure if he did and we missed it. My husband declined at the time he offered but then he offered again and my husband accepted...well we never got that drink even after he told us twice he was going to bring it out. It was a ongoing bet when will he finally bring the drink he kept offering. On to the meal-my husband got a special madam croquet which was delicious and I got the avocado toast and that was delicious but my sunny side up egg was over cooked and until my mouth was on fire from the jalapeño spread. I did eat most but the manager came by and she was very kind so she offered to remake it but I declined and she paid for my meal to make up for it even though I did eat most of it. We did get the cinnamon buns for appetizer and I honestly thought they could have been better...they were a little hard but good center. Maybe they could take pointers on reveille’s restaurants cinnamon buns...AMAZING! We will be back for dinner since overall it was a good experience. My husband is a area Director for restaurants and everything the manager did was on point. Took the family out for Easter Brunch. It was early and not crowded. We got cinnamon rolls and hush puppies as starters. The rolls we light and tender. The hush puppies were huge - about the size of a large lemon. I was delighted to see fresh jalapeños and there was just a presence rather than overwhelming pepper taste. Quinn our server recommended the crab Croque Monsieur and it was spot-on. The mustard Béchamel was just tart enough. There were nice chunks of backfin, I just wish there had been a little more. The lobster omelette my wife had was delicious as well and was rich without being overwhelmingly so. My daughter enjoyed her hash browns. The pork belly and oysters worked out well. Everything was perfectly balanced. The server was attentive without being intrusive and very gracious. I’ve never had a bad experience at Drift. Great place for dinner and now a great place for brunch. Amazing Food! The restaurant was very sweet in acknowledging our anniversary by writing a special note on the menu just for us. Such a special gesture! Can't wait to go again! A most memorable meal. Good cocktails, oysters and entrees. American Red Snapper Hong Kong style was amazing!! Excellent lunch, we are so glad that they are open during the day again! Everything was fantastic, from the cocktails, wine choices, service provided, and especially the food. Some highlights of our visit were the Tuna burger, their new Thai catfish salad, and the Ipswitch Whole Belly clam roll. Outstanding! So much better than a previous visit. Things greatly improved in the kitchen. Always amazing!! It's our hangout. Scallops were divine! Deviled eggs and jalapeño hush puppies were absolutely delicious. Service is always impeccable. Brought 2 friends for their first meal @ Drift. Their experience was fabulous! We will all return soon. Our fish and chips were very good. Our server did an excellent job and was very kind. The restaurant is very well decorated and we always enjoy it there. Food is fantastic-- interesting menu. Our server was knowledgeable & pleasant, but drinks took a long time, and server was slow to close us out. We'll be back though for sure. The food should match the amount spent. In my opinion, that did not happen. While the food was 'good' it was not 'great', however the price tag was one for food that was 'great'. Would not spend $150 on a dinner for two there again for something that was just 'good'. 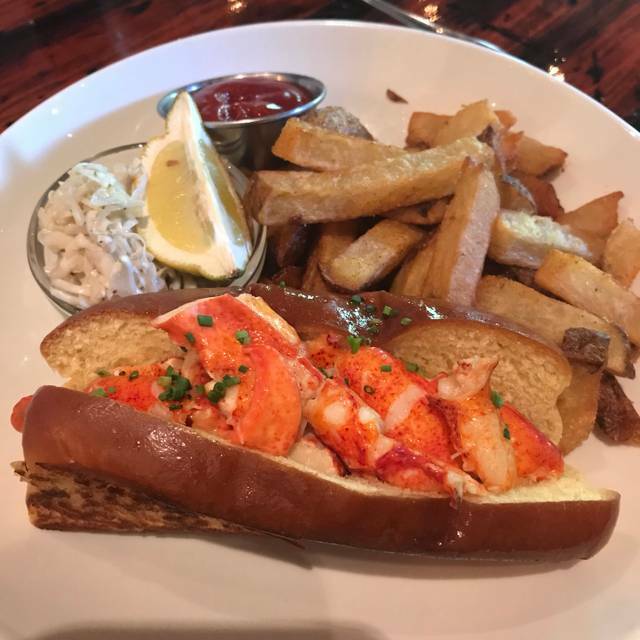 Fish and chips were over cooked, lobster in lobster roll was tough. The food is too expensive to not be perfectly cooked. The entree was very good. My cocktail was poorly made, watered down. The tiramasu dessert was poorly made. For Georgia the seafood was great. Service was excellent and the kitchen was accommodating. 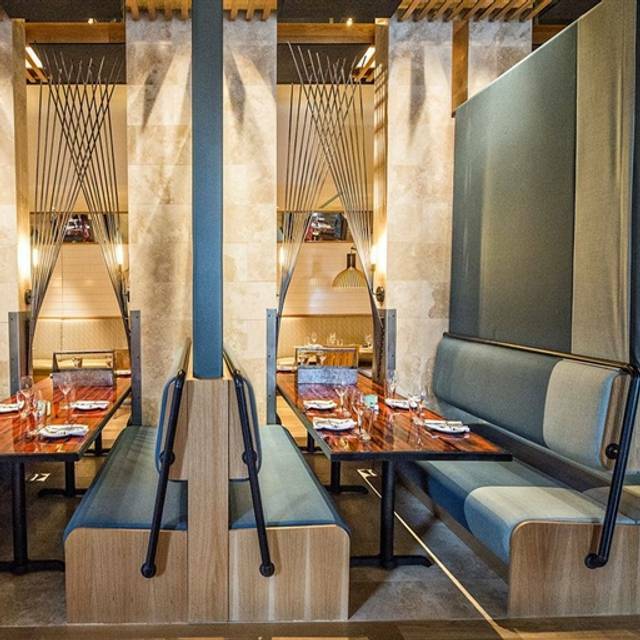 Layout and open kitchen makes the restaurant a bit loud but not an issue with conversation. Everything was fresh, hot, and well prepared. Always great! Love talking wine with Paul! We were very disappointed in the quality, taste, and cleanliness of the food. The grilled shrimp on the Caesar salad were dirty (so unappetizing so the shrimp were just pushed aside with the rubbery shaved Parmesan cheese, and brown spotted and wilted romaine); the fried shrimp for the Po Boy was so heavily breaded that it was impossible to determine as to whether any real shrimp was even there, the fries were burned and very greasy. The food was very bad. Another patron fell (second time I’ve seen this happen at Drift) and none of the employees helped him-just like the first time several months ago. Both times it was other patrons dining who jumped up to help. Good except for slipping on water on my way out. Amazing service to every detail. Wonderful for a special night out. Food is flavorful but portions are very small,especially given the prices for the entrees. 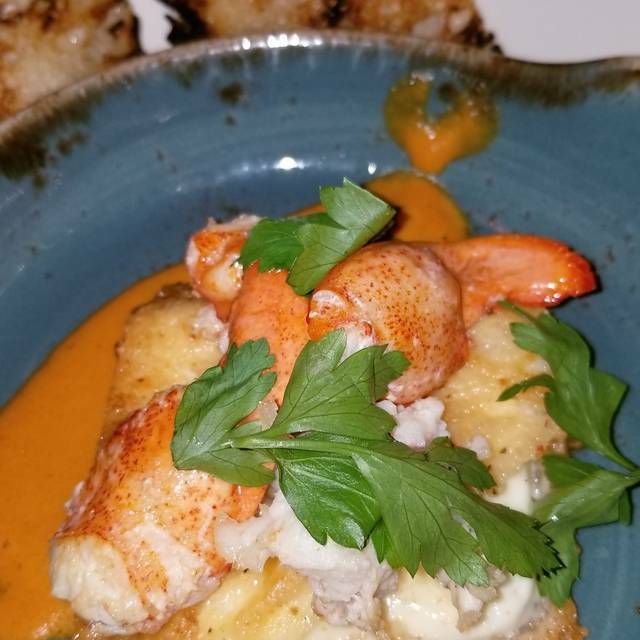 Everything about our visit to Drift was outstanding - from the personalized menu with anniversary wishes, to the superb staff, and, of course, the incredible food! 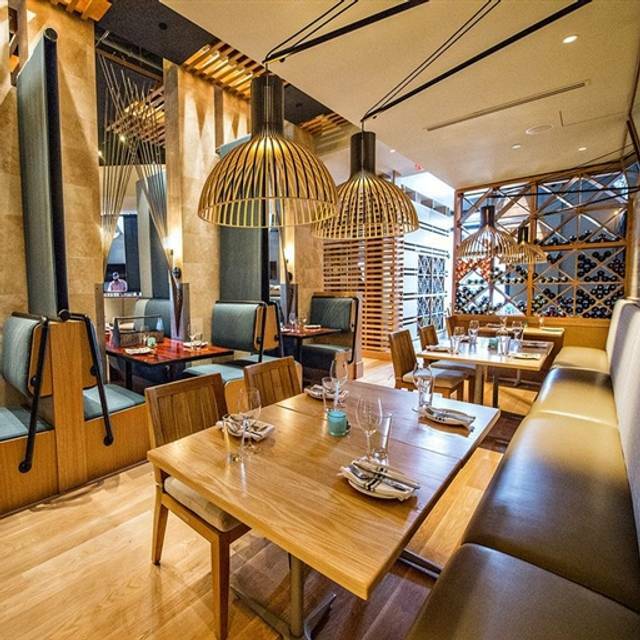 We enjoy having lunch and brunch at Drift. Thanks for opening it back up during the day. The setting is beautiful, but overall I found the food extremely salty and overpriced. pretty good.could do with a few changes but nothing serious.Oysters,of the 12 6 were very small,3 were fairly small, and 3 were good size.The soup was very good as were the clams. 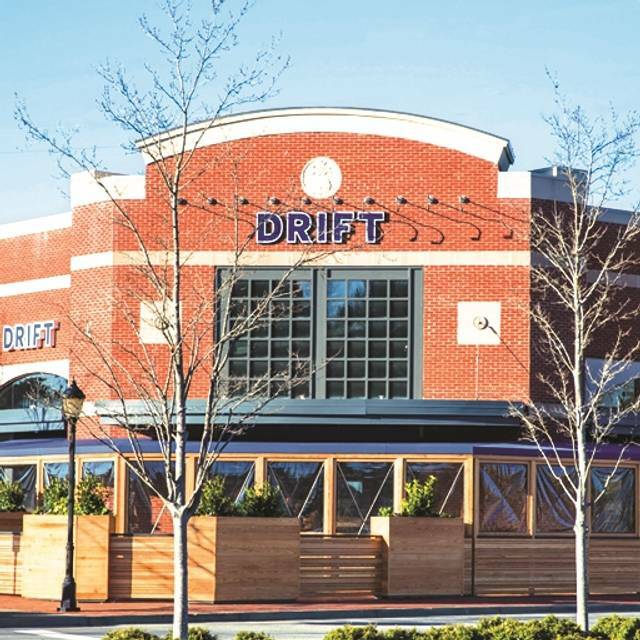 Drift has become our favorite food spot. Trey was an outstanding server and his suggestion of the Smooth Sailing cocktail was spot on. We had the Bienville Oysters to start (cheese, shrimp, and bacon on top of the oyster). I had the scallops (tender, buttery and perfectly seared) with the Brussel sprouts (carmelized greatness). 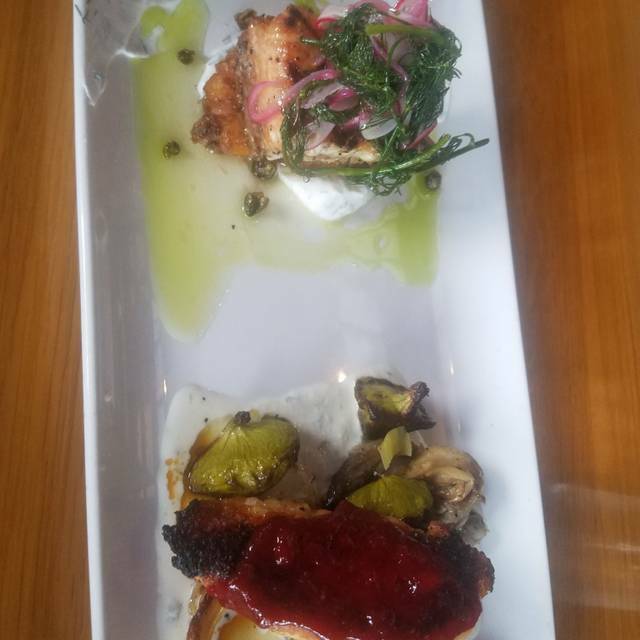 My wife had the sea bass (that evening's catch of the day) and it was flaky and flavorful with a side of the roasted cauliflower with pine nuts and currants. After a lovely lunch we can only be positive. 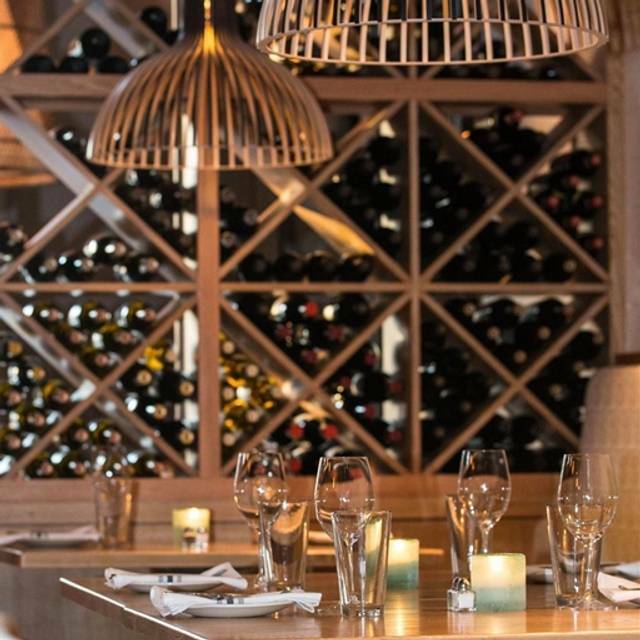 We hope the ambience is as enjoyable when filled with all those oyster lovers taking advantage of Drift's Tuesday specials. When my wife questioned the soup of the day versus their clam chowder, the waiter immediately brought samples for her to taste. Hush puppies were a nice accompaniment. My oyster po-boy had all the fixings, including the inhouse hot sauce and oysters that were crisp on the outside and had a creamy interior. Wine was pricey and was premium quality. We will be back. I had grilled fish tacos and they were delicious. Very enjoyable and food was excellent. Our server was not friendly at all. Normally the servers there are very friendly, smiling, and polite. The lady we had took a very long time to take our order and she was very bland in the interaction with us. For seafood, the best around Atlanta north. Not cheap but great food & service. 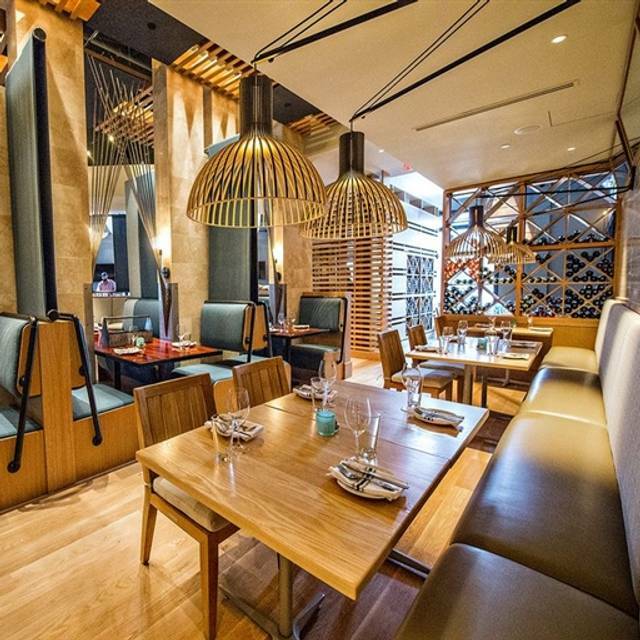 Food fresh and flavorful, ambiance is okay for a seafood place. Grouper blackened had a nice tezture and not overdone. The accompanying sauce was very flavorful. Nice selection, although they were out of Red Snapper and Lobster on a Saturday evening. Do think . rolls/hushpuppies should come with the meal and not be an extra charge. It was an amazing experience. 99.9% amazing. A couple ordering snafus because the server heard us wrong due to the noise level. Otherwise, a perfect night. Food was not at all what was described in menu - even after sending back still did not come back correct.